Weed-Out® program is a volunteer initiative spearheaded by the Park People® in cooperation with the Milwaukee County Park System. 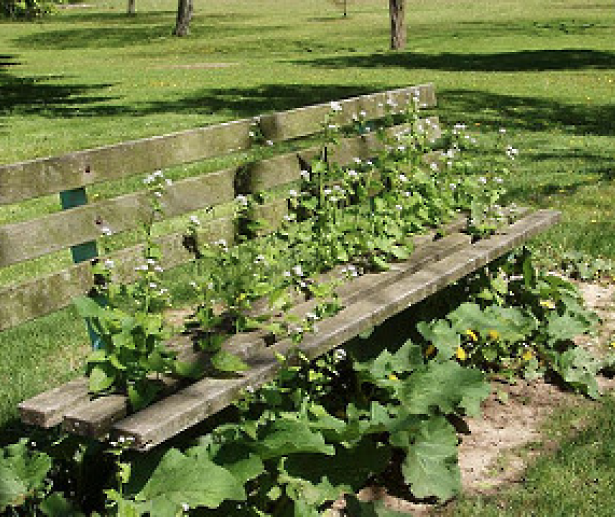 Weed-Out® is an excellent community service project for any organization, school group, family or individual concerned about our environment or parks. We provide “Weed-Out® Warriors” with the tools and supplies required to effectively remove these species and also educate the public about this severe threat to our park environments. Weed-Out® Warriors have the opportunity to reduce this threat during Spring and Fall Events. Download the Weed-Out® Spring 2019 schedule. Volunteers pull garlic mustard, dame’s rocket and burdock in park natural areas. These close relatives can overrun forest floors in only a few years due to the tremendous number of seeds that they produce. 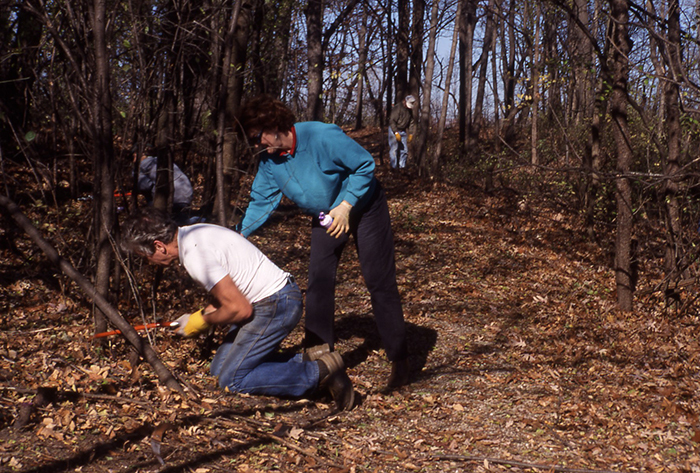 Volunteers use loppers and handsaws to remove buckthorn and exotic honeysuckle. Milwaukee County Parks contain most of the county’s remaining natural areas. These valuable areas are seriously threatened by aggressive non-native plants referred to as ‘invasive weeds’. Invasive weeds can dominate an area so completely that they crowd out native wildflowers, shrubs and even trees. When the native plants are gone, so are the wildlife that depend on them. Some of the worst invasive weeds affecting our parks include garlic mustard (Alliaria petiolate), dame’s rocket (Hesperis matronalis), buckthorn (Rhamnus cathartica and frangula), burdock (Arctium) and honeysuckle (Lonicera spp.). In fact, many parks’ natural areas are already overrun by one or more of these swift-spreading species. If nothing is done to reverse this trend, the beauty, ecological and economic health of our park system will be in jeopardy. With over 2100 volunteer hours per year, 40 acres of Milwaukee Park land has been cleared of invasives. 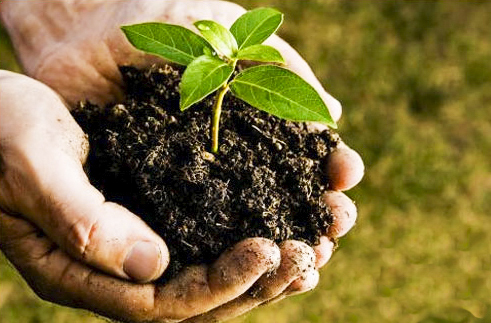 The Park People® have conducted Weed-Out® events since 1996. The driving force behind the creation of the Weed-Out® event were two board members, Betty Czarapata, author of “Invasive Plants of the Upper Midwest” the go-to weed book for our region, and Dr. Ken Solis. Since its inception, the Park People have relied on many experts in the field to help ensure our native wildflowers and trees thrive. © 2018 The Park People of Milwaukee County, Inc.